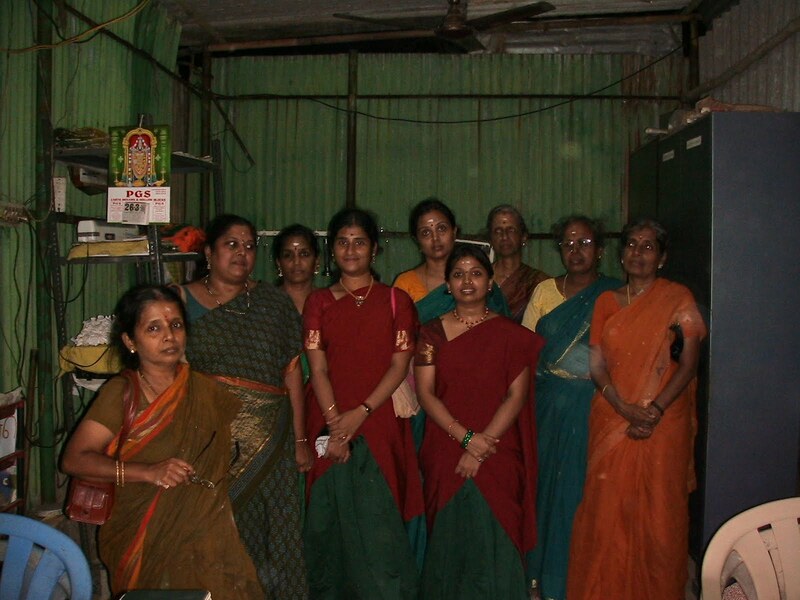 Sahasranama Archanai will be performed to SRI KAARIA SIDDHI VINAYAGAR on 01-05-2010 on Sangada Hara Chathurthi Day at 6 p.m.
Tenth monthly Sahasranama Archanai will be performed to SRI VISWAROOPA PANCHAMUKHA ANJANEYASWAMI ( UTHSAVAR ) on 02-05-2010 , on the day of his birth star , moolam. It is intended to perform Sahasranama Archanai to Arulmighu Sri Ashta Buja Vishnu Durgai on every full moon day , to Sri Kaaria Siddhi Vinayagar on every Sangada Hara Chathurthi day . 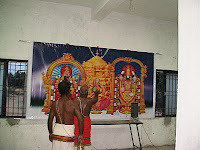 Sahasranama Archanai to Sri Viswaroopa Panchamukha Anjaneyaswami - Uthsavar is being performed on Moola Natchathiram day every month since 30-08-2009. 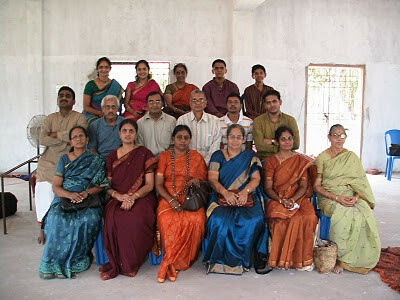 60 to 70 devotees participate every month. 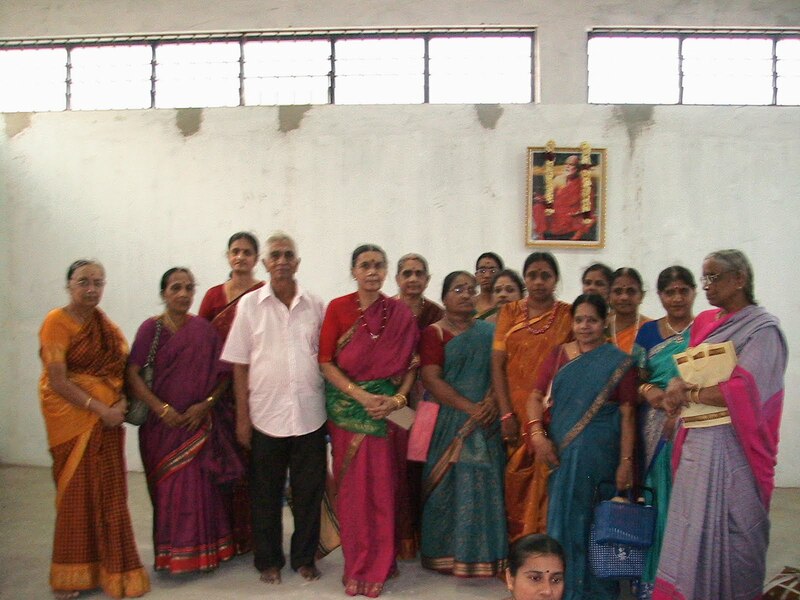 The number of devotees who have enrolled for Sahasranama Archanai on an annual basis is 19 at present. 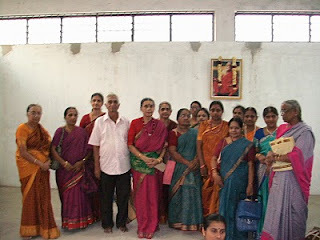 Sindur prasadham is sent to the enrolled devotees every month by post. 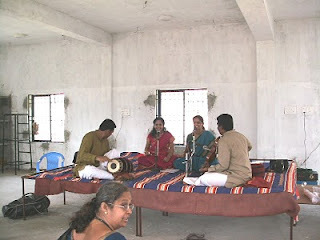 at Guruji Dhyana Mandapam , Tiruvallur. after doing a puja to Gurudev. Gurudev’s picture at the Dhyana Mandapam was decorated with flowers .The function started with Nadhaswaram. 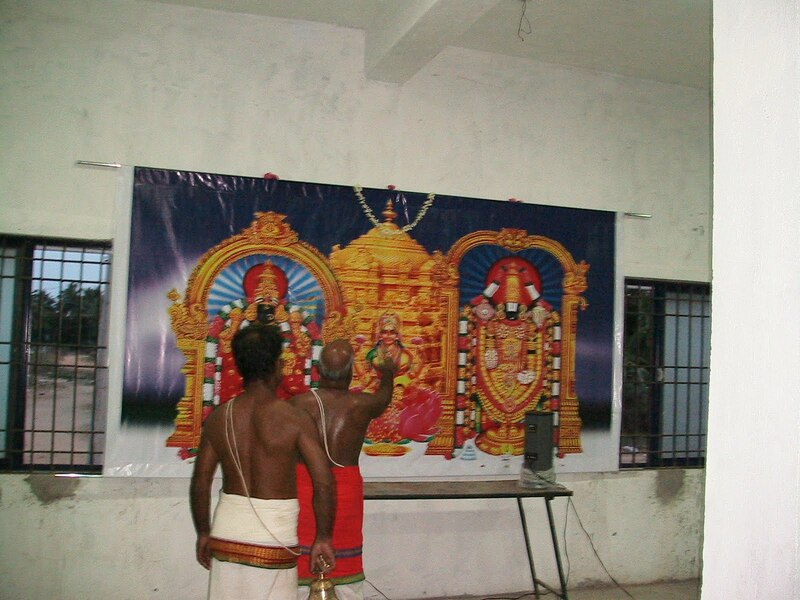 Sri Vishnu Sahasranamam was then chanted. After this , Sri.N.Narayanan , our senior staff who is knowledgeable in vedhic studies and in conducting homams etc., recited Acharya Thanians , Pallandu Pasurangal , Thiruppavai and Sri Ramanuja Nootrandhathi . The Aradhanai started at 5.30 p.m. and ended at 8.15 p.m. Devotees who came to the temple came to the Dhyana Mandapam to pay their respects to Gurudev thanking him for bringing the ever –merciful SRI VISWAROOPA PANCHAMUKHA ANJANEYASWAMI to Tiruvallur. 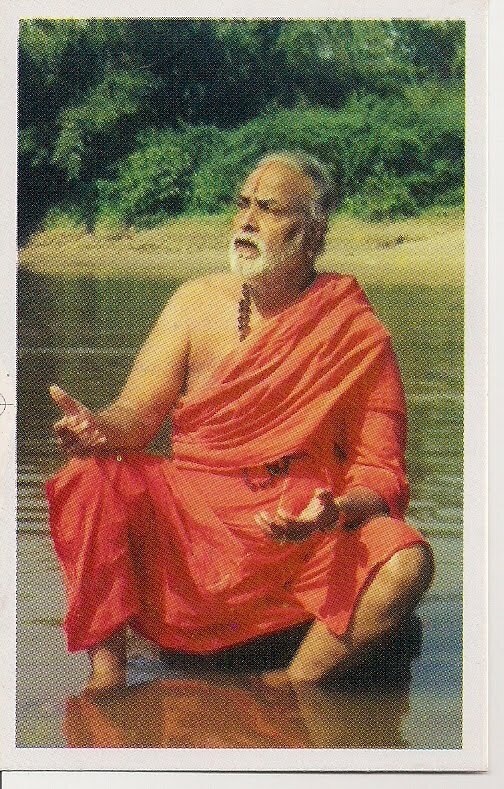 We all prayed Guruji to guide all of us always and help us to expedite the temple project. 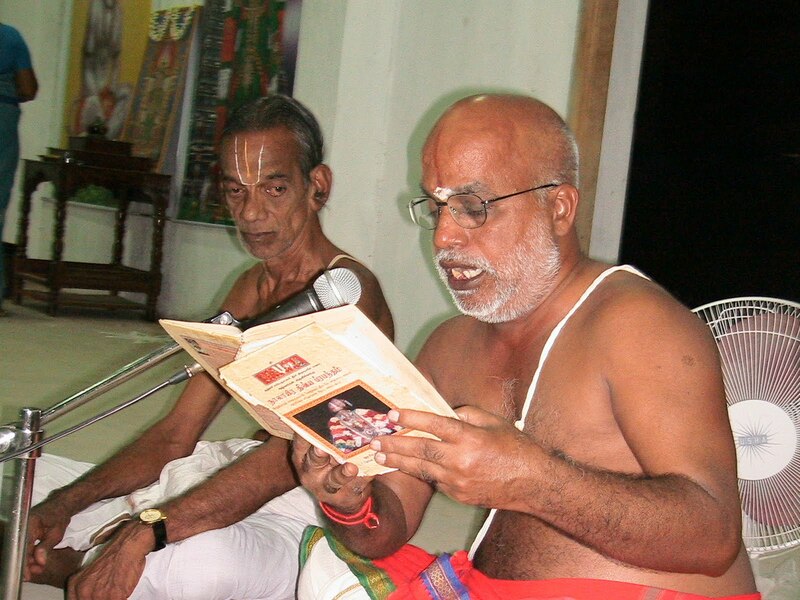 Special neivedhya prasadham was distributed to all. 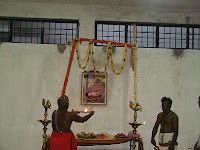 Sri Varaha Jayanthi was celebrated on 3rd instant. 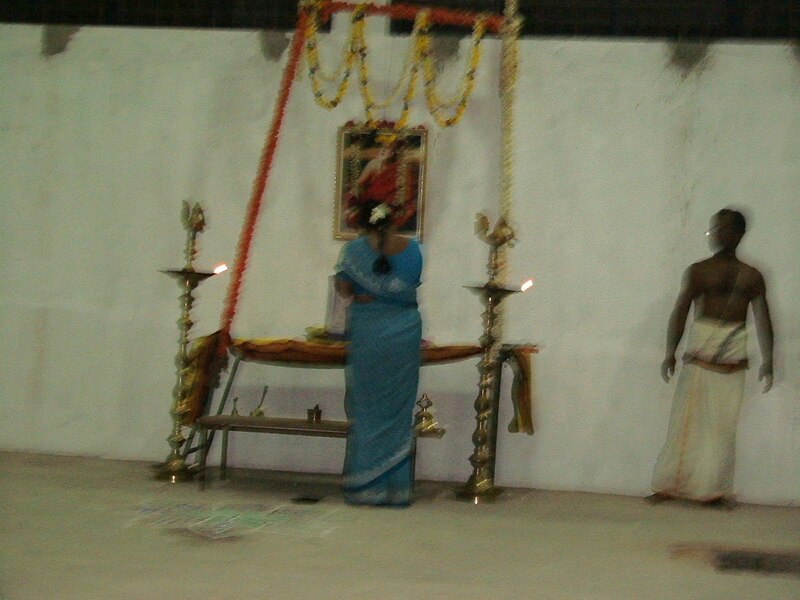 Sahasranama Archanai was performed to Sri Anjaneyaswami and Sri Varaha Moorthy. 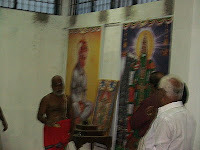 Lot of devotees participated and received the blessings of Sri Panchamukha Anjaneyaswami. Sri Rama Navami was celebrated for seven days from 20-03-2010 to 26-03-2010. 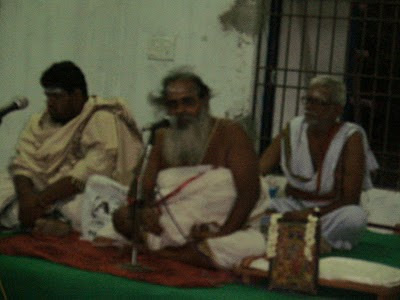 Sri Ramayana Pravachanam was rendered by Sri.Raghava Shastrigal of Baktha Jana Sabha , Tiruvallur from 20th to 24th – SRI RAMA NAVAMI DAY at Guruji Dhyana Mandapam. Everyday pravachanam started with Sri VISHNU SAHASRANAMA parayanam and concluded with SRI RAM JAYA RAM JAYA JAYA RAM japam. 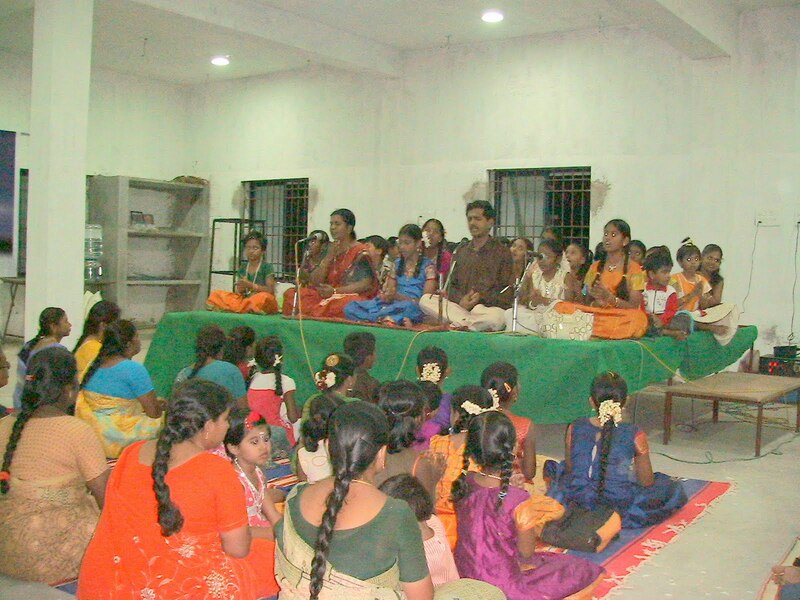 On 21st morning , students of TKG GURUKULAM , Chennai gave a musical performance under the watchful eyes of their mentor Srimathi. 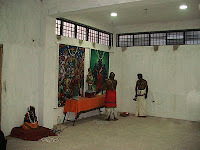 Radha Ramji. Ms.Kavitha, Ms.Aishwarya, Mr.Bharat Viswanath and Mr.K.Shivshanker sang to the accompaniment of Mr.Srinivas on mridangam and Mr.C.K.Vijayaraghavan on violin. On 25th evening , Srimathi. 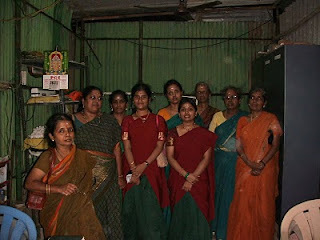 Uma Sundaram kuzhuvinar of Chennai did Nama Sankeerthanam and bhajans with great involvement and bhakthi. This was followed by musical rendering by the children from R.M.Jain Vidyashram led by their music teachers Sri. 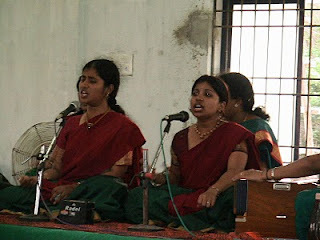 Hari and Ms.Naga Padma. About 60 children participated and this program was well attended by the parents and local people. 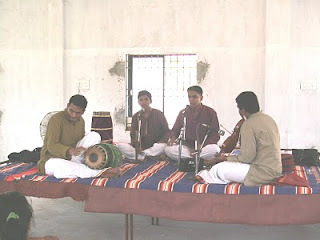 harmonium and Sri.Ramesh on mridangam. All programs were conducted at Guruji Dhyana Mandapam. For seven days , Sri Rama Nama filled the air around the temple and we are sure Sri Anjaneyaswami would have been immensely pleased. 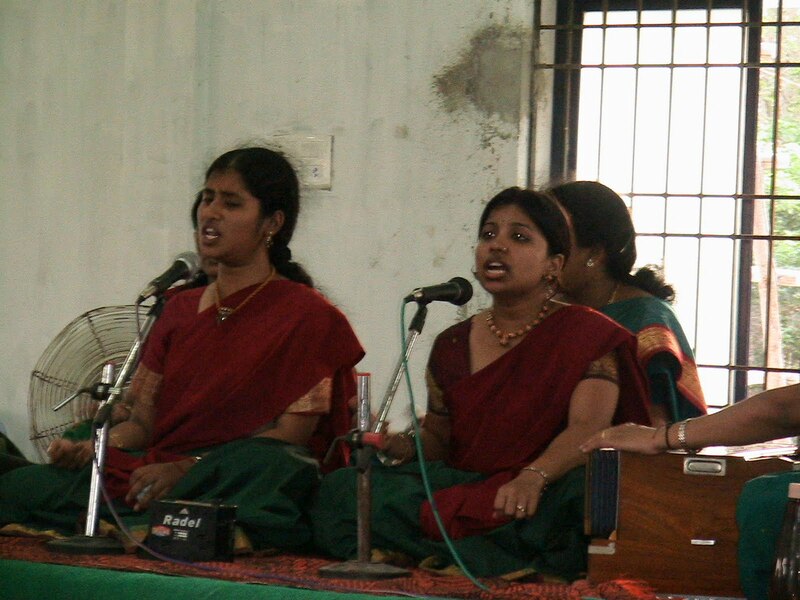 Everyone who sang in these seven days also glorified Sri Anjaneyaswami with their musical skills. The bountiful blessings of Gurudev Poojyasri S.Venkatesa Bhattachariar Swamigal and the ever-merciful Sri Viswaroopa Panchamukha Anjaneyaswami will enrich the lives of everybody who performed in the SRI RAMA NAVAMI CELEBERATIONS.